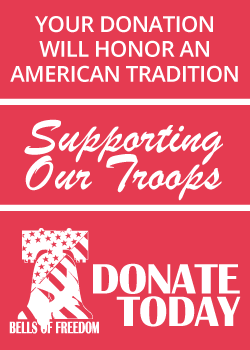 Bells of Freedom, a program of Dance Hearts – a nonprofit, tax-exempt corporation. 501 (c) (3) Public Charity Federal Tax ID # 26-0534529. Sending general correspondence, or manual donations the old fashioned way? Our address is below. Looking for direct ways to donate? We have a page for that too. Please indicate the nature of your inquiry. If you are looking to help for a particular Cause, please see our Causes Page for more information.